Arriving in Yellow & Black and Red & Blue. The collaborative effort between Raf Simons and adidas has become a mainstay in footwear for the German sportswear brand over the past several years — arguably one of the first to relish in the dad sneaker trend that luxury brands have been employing rigorously. 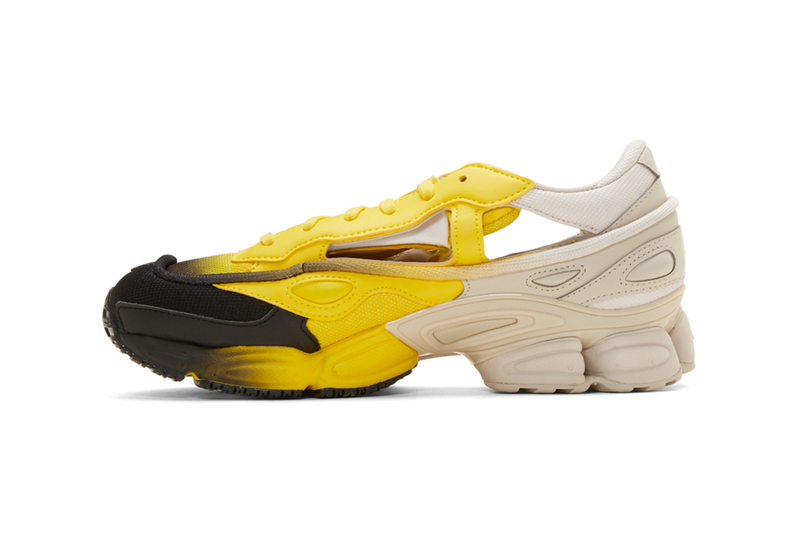 Following last week’s unveiling of the adidas by Raf Simons Replicant Ozweego’s in various new gradient colorways, the Yellow & Black as well as the Red & Blue iterations have started hitting various global retailers. The low-top sneakers feature paneled nubuck and technical mesh, met with a tonal lace-up enclosure as well as a padded tongue and collar. As evident, the shoes feature a unique cut-out detailing at both medial and lateral sides of the sneaker, allowing for maximum breathability as well as the socks worn to be visible. Conveniently enough, Simons and adidas have supplied three pairs of color-matching socks so you don’t have to worry about what to rock with these. Rounding out the sneakers is a treaded adiPRENE rubber sole. Take a look at the new Raf Simons x adidas Replicant Ozweego Gradient shoes above, and if you’re interested in picking up yourself a pair, they are currently available via SSENSE for $450 USD. For more related news, check out the custom Jordan 1s Elon Musk wore at the Tesla Model Y unveiling event. Handcrafted footwear at its finest. The home video game console is available for pre-order now.